When I see companies that are still making money despite leadership deficits, it’s a slow burn. Executive leadership thinks the slow burn is caused by lack of performance or output, not behavioral leadership issues. I see this all the time, and it’s because we, as humans (especially achiever-executives), find it easier to stomach and fix business issues instead of looking at ourselves and our behaviors. Time and time again I see organizational dysfunction that everyone just keeps turning away from because its uncomfortable to tell the CEO or top executive that they are the problem. And yet, when I interview the team, they each point to it. As a top executive coach, I see that this is more costly than if the company burned to the ground quickly because of everything culminating in an inferno. Take, for instance, a company generating $50M in EBITDA. The CEO sees that earnings have slowed by 12% over the past three years and thinks the answer is in the data, such as lack of performance/output or expense overages. But they are blind to turnover during the past three years which has quadrupled. If they have considered turnover, they typically never connect their leadership effectiveness to it. They tie talent market, economy, or HR processes, but never themselves or their leadership behavior. When this continues unchecked, it builds incrementally and if revenue doesn’t match or overcome it, it slowly erodes net profit, any remaining culture, reputation and trust in leadership. Together, these cause the death spiral that is usually irrecoverable. Worse yet, is when revenue picks up the slack which continues to mask the real problem. Here’s my point: High achievers in the top seat got there because they were the best at “doing.” Doing the best job, doing more than their counterparts, performing the best. Once in the top seat, they have to switch to doing through others effectively. This doesn’t happen naturally. It is the opposite of their natural tendency to switch gears and be a good coach to their team, helping them think and perform better. Really, the only way to this is behavioral work. Take it from this top executive coach: people make up companies and results, not data. Look at the people involved, starting with yourself. What is your contribution to the current problem(s)? What is your behavioral blind spot(s)? 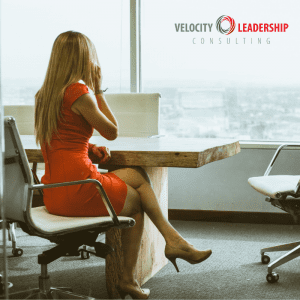 If you don’t know, hire an executive coach who can very quickly figure out your behavioral blind spots because they are an expert at doing so. And, they will keep everything you share confidential; all the team will see is a vastly improved leader and the company results will amaze you. For exemplified results, grab the 9 KPI’s that effective leaders measure to impact positive change here.